Special education teacher, Linda Merchant, grew up drawing, enjoying artwork through frequent gallery visits, encouraged to paint and create with supplies and lessons, and mesmerized by the works of representational artists. “I’d have my nose an inch away from some of these prints studying the brush strokes. I couldn’t fathom how they were done so realistically, and that kind of became my challenge from then on, to figure out how to do that,” she explains. 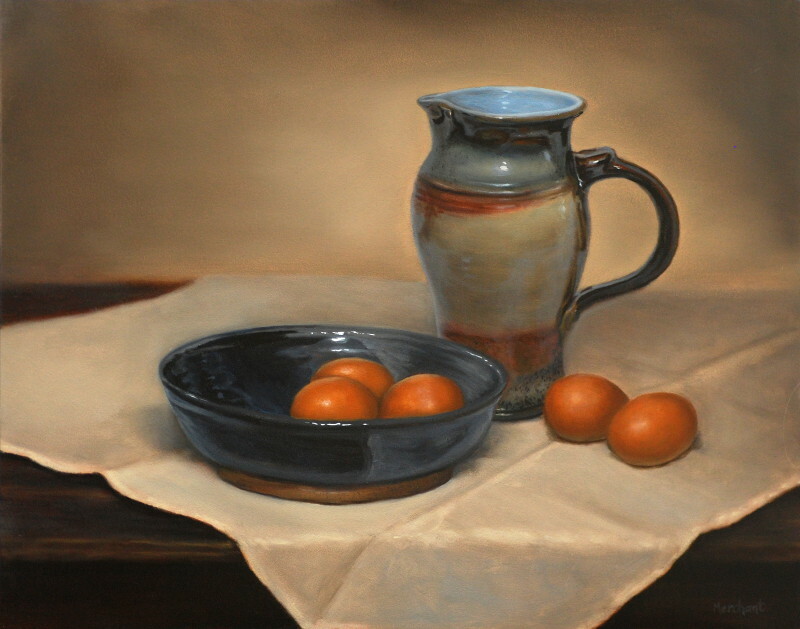 Linda pursued her challenge, primarily self-taught, learning from other artists through online forums and videos where she could see technique and get an understanding for all of the variables of painting. Linda also shares how important it is to understand one’s subject matter from life. “Studying from life is crucial, because many important details don’t show up in photos – colors may not be accurate, and details in dark areas may not be visible. Study how light reacts and bounces around the environment. 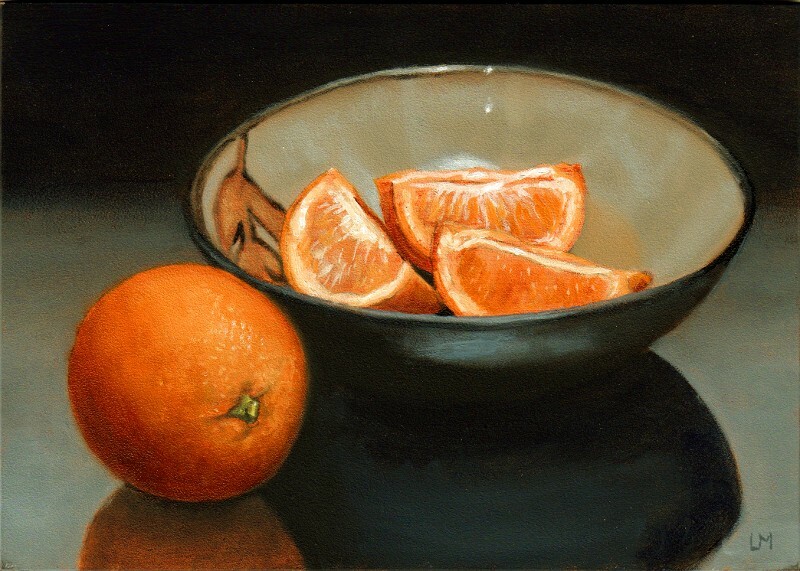 It’s important to do a variety of different subjects, as each one will react to light differently, but by doing a lot you gain a catalog of how light should behave in a certain situation, and what to look for.” In her own work, Linda exemplifies what she has gained from observing nature and objects closely. She paints some of her own subjects from photos she has taken, looking for interesting light patterns, textures or colors to keep her interested. 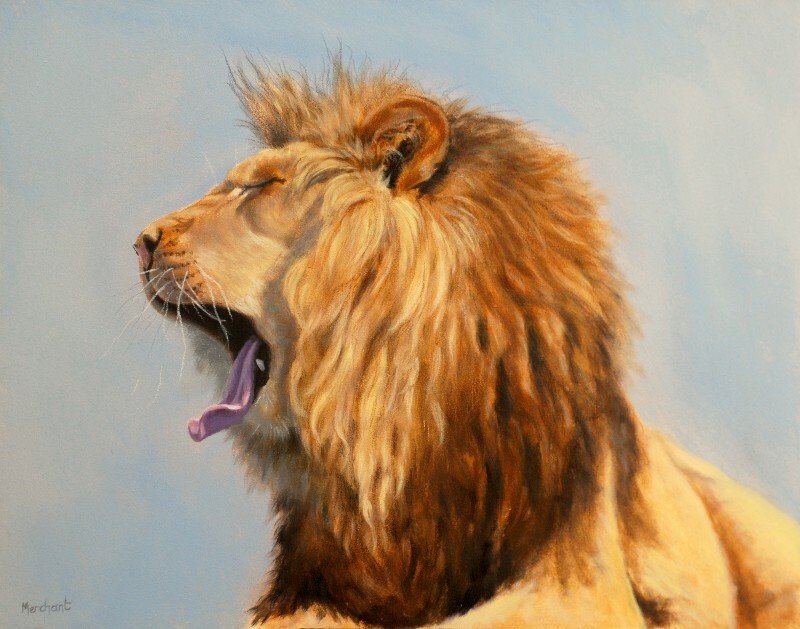 Moving from still life to animal life keeps her challenged and entertained in her work. Linda works in both pastels and oils, preferring these materials for their luminosity and brilliance. She uses traditional ways of creating her work, spending hours layering and glazing. Getting to know her materials is just as important as getting to know her subject matter. Linda explains how moving from student grade paint to artist grade made such a difference in not only how much paint she was using, but in the richness of her work. “I used student grade paint for a long time before switching to artist’s grade, and it’s amazing the difference using quality materials has.” Linda came to Ampersand Gessobord™ for similar reasons on using the best, finding that the higher quality board made for a better smooth surface to hold paint, allow for the proper amount of oil absorption, and will not deform over time. Plus, the boards store and frame easily. Her preference to create quality and use quality materials go hand in hand, and her work shows it. Even though Linda’s full time work is special education, she finds time to teach art and paint meticulously. You can see Linda’s work in person, as she will be demonstrating at Art Fest at High Hand Gallery in Loomis, CA this weekend. This year, there will be about 30 different artists doing their craft, April 12th and 13th from 10-5. 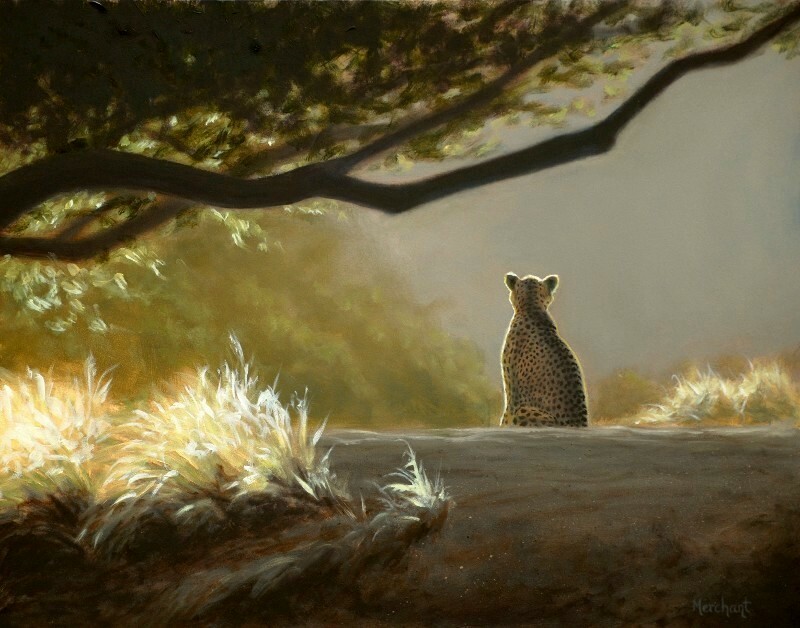 You can also see more of Linda’s stunning work in her online gallery at: www.lamgallery.com.